Asian J Agri & Biol. 2018;6(4):566-575. Wild plants developing in areas without the desire or wills of human and known as weeds, that could be beneficial or not. The aim of the present study was to identify and record the weed species grown in the agricultural land in the regions of Valley of Leeyh, South of Taif area, which is located on the Eastern slopes of the Al-Sarawat Mountains with an altitude of 1700 m from sea level. Different weed species has been collected, processed by cleaning and identified from the surveyed area. The study was conducted between 2016 and 2017. The results showed that Cherepodiaceae had the highest number of weeds species followed by Uriticaceae and Malvaceae. The lowest weeds species count recorded in Cappaeaceae followed by Chenopodiaceae and Aizoaceae. The highest weeds count of agricultural crops recorded in Cucurbita pepo, Coriandrum sativum and Petroselinum annum. The lowest weed in Taif agricultural fields recorded in the Medicago sativa plantations followed by Capparis decidua and Zea mays. Dominant weeds species include Urtica dloica, Malva perviflore, Chenopodium valvaeia, Amaranthus vindi, Cynodon dactylon, Portulaca oleracea. This study has the potential in developing the valley south of Taif area for agricultural purposes. 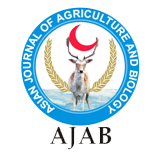 The findings of this study will be beneficial in suggesting suitable weed control recommendation in agricultural crop land of Taif area.